David has always been attracted to rare and unusual botanicals, as well as common plants in different stages of development. The display, decay and blemishes of nature offer an almost unlimited palette of possibilities. His intensity of close-up shots reveal unexpected colors, textures, shapes and alien-like patterns. 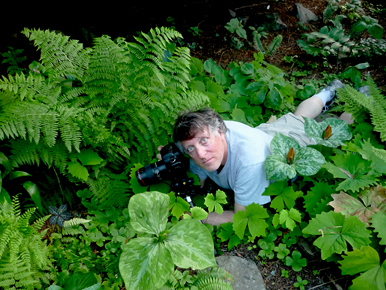 David explores greenhouses, botanical and collector gardens, and has his own award winning garden. David's eye for detail has produced some of the most stunning botanical portraits, that are truly captivating. He hopes through his art to share his surprise, awe and wonder, and to educate those that view his botanical portraits. Judges choice award and peoples choice award, International Photography competition Western Washington Fair. 3rd place international photo competition: Light, Space and Time. 20 Countries, 34 States. Honorable Mention in the International Photography Awards, I.P.A. 18,000 entries 104 countries. University of Washington, two solo shows. Two time award winner, Best of Show and First Place at the JVH Digital Festival, Bellevue Wa.